There are few foods with a better nutritional profile than liver. Sometimes known as nature’s multivitamin, liver is full of nutrients like vitamins A to E, magnesium, potassium, calcium, iron, zinc and much, much more. Its great for building up your immune system and protecting yourself from infection. Many people don’t enjoy the taste of cooked liver by itself, but chicken liver pâté is much more palatable. In my household we eat chicken liver pâté very week, often with a cracker like these sesame cauliflower rounds. In fact, there is almost always some pâté in the fridge. 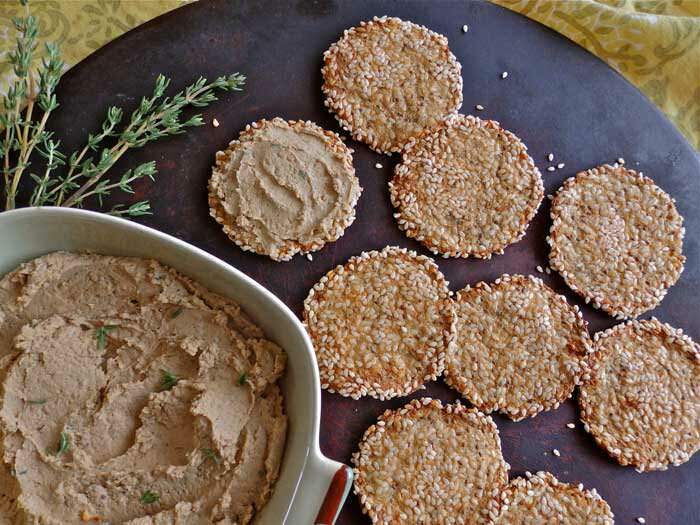 Here is a delicious chicken liver pâté recipe that incorporates onions, pepper, thyme, and coconut milk. Melt 2 tablespoons butter in a skillet over medium heat. Add onions and shallots, saute until softened, about 5 minutes. Transfer onion mixture to a plate, set aside. Return skillet to heat, add chicken livers and saute until livers are barely pink in the middle (well done livers can be bitter). In the bowl of a food processor, add chicken livers, sauteed onion mixture, salt, pepper, fresh thyme leaves, coconut milk and remaining 2 tablespoons of butter, process until smooth. Pâté can be refrigerated for up to 5 days.